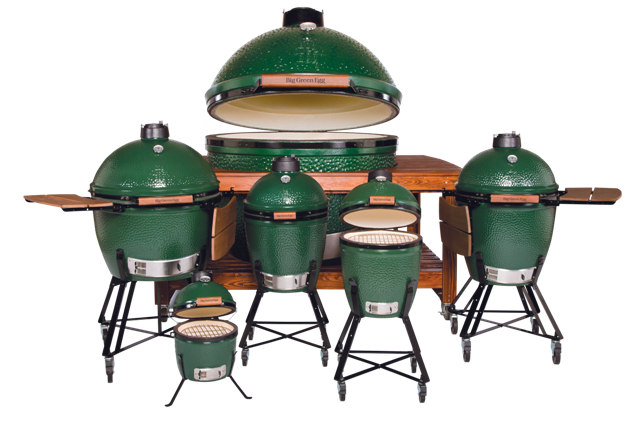 Widely acclaimed as the original American-designed ceramic cooker, the Big Green Egg was derived from an ancient clay cooking device known as a “kamado”. Originally a clay vessel with a lid, today’s EGG® is a modern ceramic marvel known for producing amazing culinary results for novice and experts alike for over thirty years! You’ll be amazed at HOW THE EGG WORKS.Often copied, never matched … there is only one, original Big Green Egg – The Ultimate Cooking Experience! Click HERE to find the size that’s right for you! Buck Stove Pool & Spa has combined your Big Green Egg with all the most popular Accessories, along with assembly of the Egg, and offers you a FREE GIFT CARD for purchasing your egg from us! Receive a $50, $75, or $100 gift card when you purchase your Big Green Egg at Buck Stove Pool & Spa! Call us today at 864-223-1660 or visit us in our showroom and we can show you why the Big Green Egg will be the ultimate cooking experience for you!